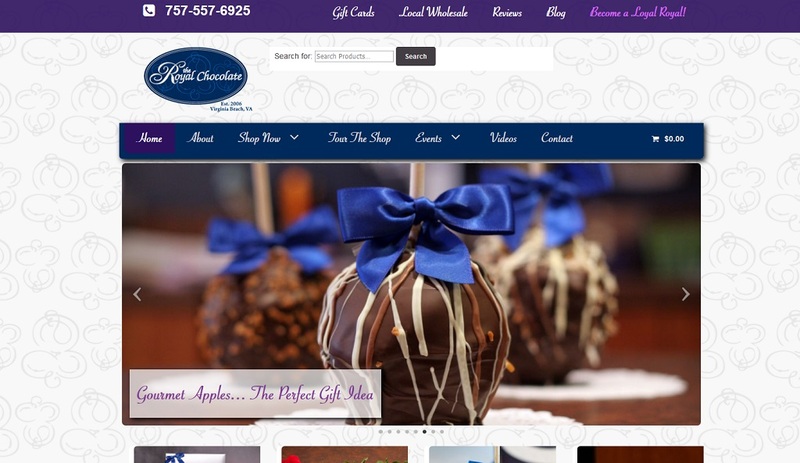 Located in Virginia Beach’s popular Town Center, The Royal Chocolate offers a wonderful array of chocolate treats from handmade candies to imported chocolates as well as gift baskets and the local’s favorite: gourmet chocolate dipped apples! CCM manages theroyalchocolate.com, the online home to The Royal Chocolate where visitors can keep up with upcoming tasting events as well as make purchases online. Visit theroyalchocolate.com today to see what the chocolate fuss in Virginia Beach is all about!